SWDesertHomes in Tucson, Marana, Oro Valley, Vail & More! It's the weekend again, and if my calendar is clear, I'm often looking online to see if anything exciting is happening locally. Where do you look for things to do in Tucson and Marana when you're craving a family outing, local flavor, or just browsing to see what catches your interest? One of my favorite places to look is called Tucson Happenings. If someone scheduled it, you just might find it on this handy site. 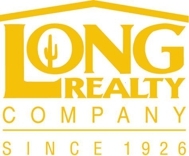 Another great resource comes from my own company, Long Realty! Yep, I'm plugging the social network, because you can have monthly events, by category, delivered to your own inbox. Right on the first page of my Long Realty Web Site is a link connecting you to great things to do in Tucson and Marana, AZ. If you'd like to sign up to receive an email of things to do in Tucson and Marana, AZ on a monthly basis, simply contact me! Simply sign up, and you can receive a regular report from here on out. Quemado, New Mexico: Road Trip!